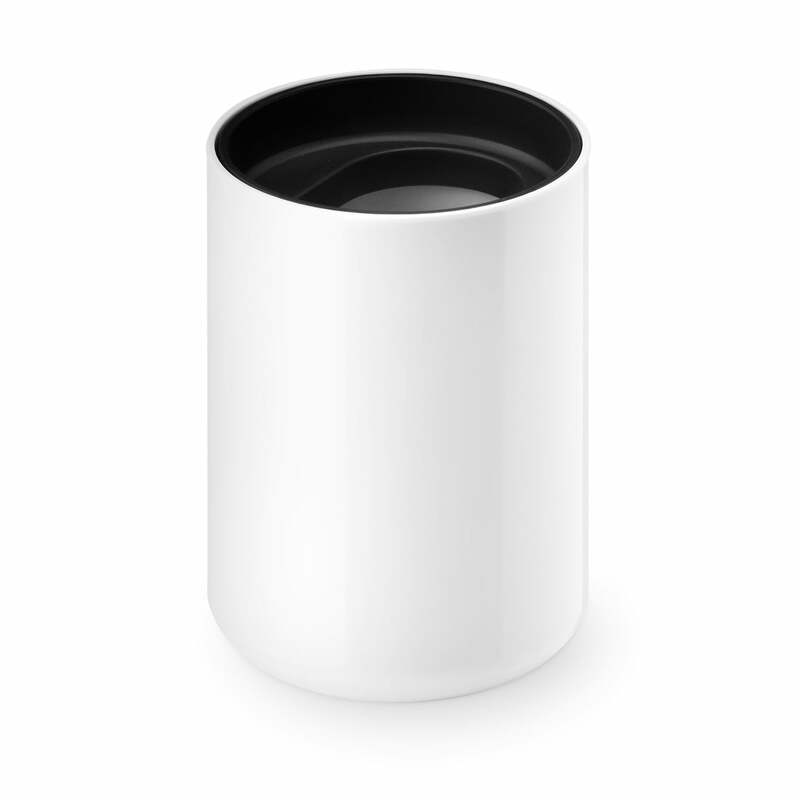 The toothbrush cup possesses a slim, bouncy inner ledge on which a coloured insert lies. 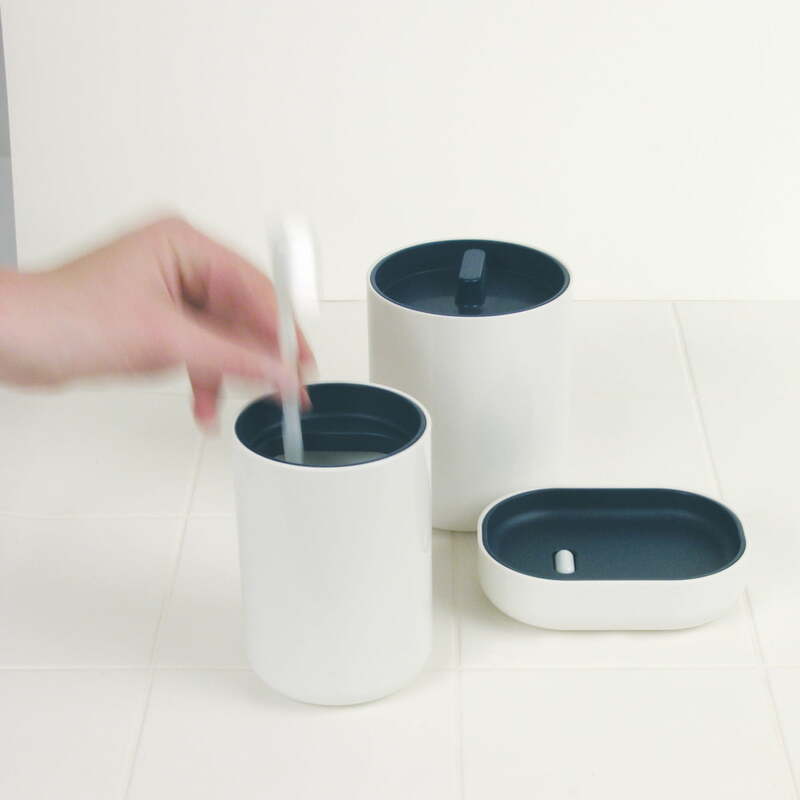 The sober and simple shape of the toothbrush cup emphasises its functionality. The design by Edward Barber and Jay Osgerby is realised entirely without corners. This makes the cup particularly easy to clean. Just as easily can the cup be used as, for example, a pen holder on a desk. The toothbrush cup by Authentics is part of the Lunar bathroom collection. 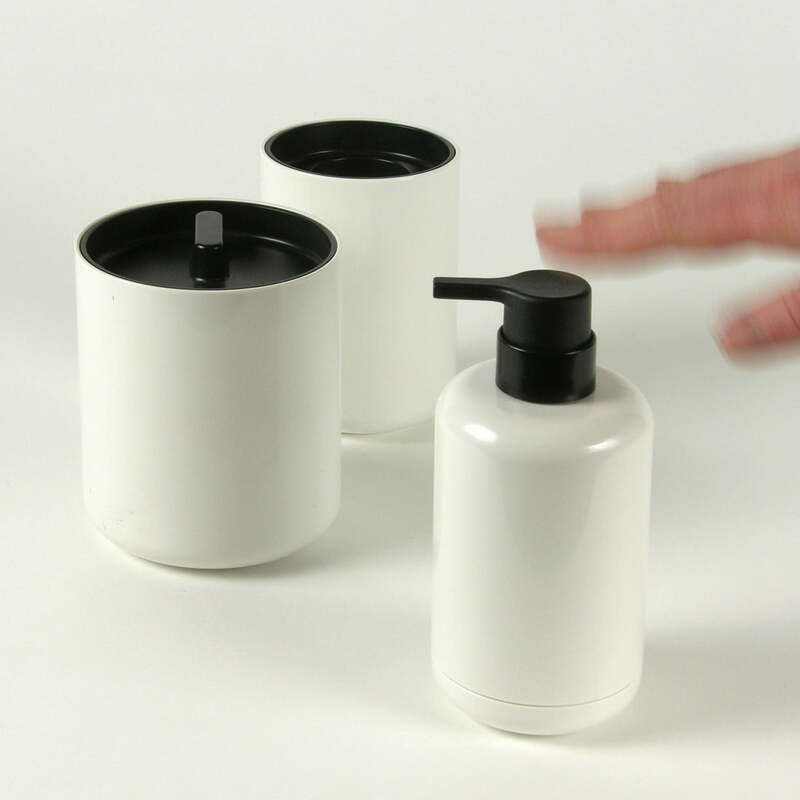 The design of the products comes from Edward Barber and Jay Osgerby. The items in the collection are distinguished through their round shapes that are made of thick-walled ABS plastic, combined with coloured, matte inserts. Individual image of the Lunar toothbrush cup by Authentics in white / medium blue. 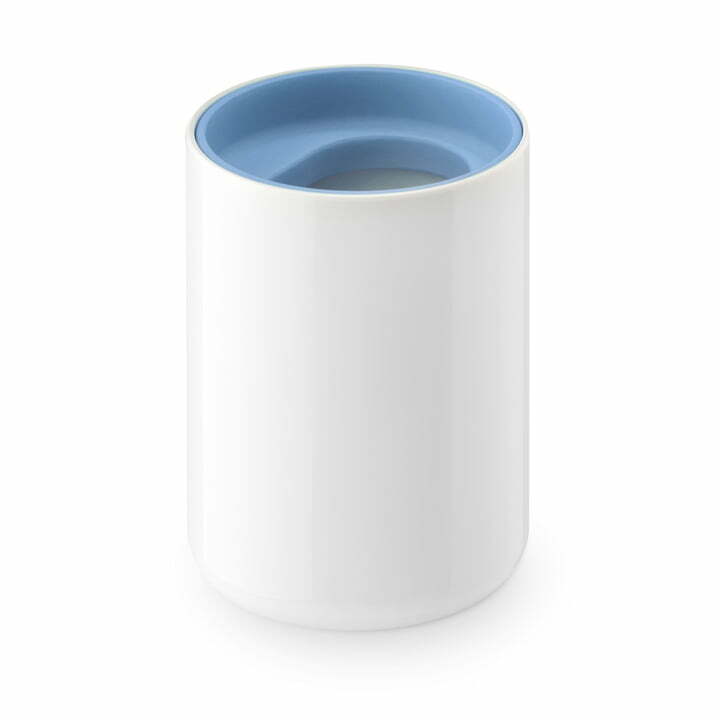 The toothbrush cup possesses a slim, bouncy inner ledge on which a coloured insert lies. Individual product image of the Lunar toothbrush cup by Authentics in white / black. 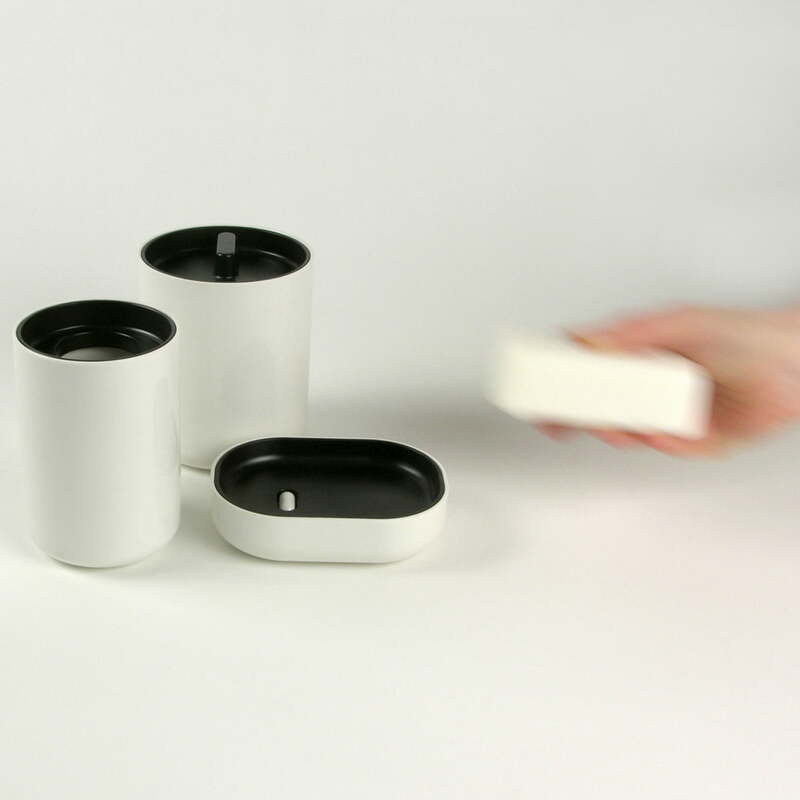 The Lunar toothbrush cup by Authentics is a simple cylinder of thick-walled ABS plastic. The products from the Lunar bathroom collection by E. Barber & J. Osgerby for Authentics complement each other visually and match each other both in terms of colour and shape.